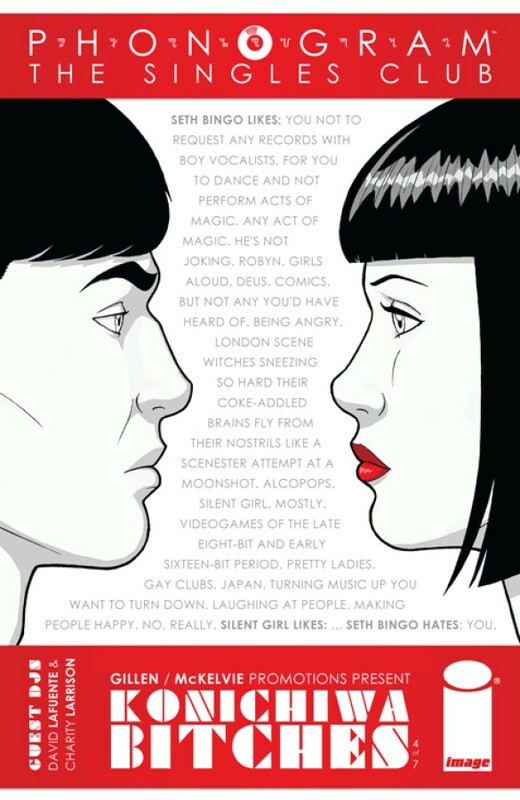 They're the Single Club's DJ ogres: Seth Bingo and the Silent Girl. But do sensitive hearts beat within shallow breasts? Hell, no. Join us for a story of sarcasm, extreme sarcasm and solipsistic snobbishness. Remember: they're laughing at you. You may as well laugh at them. PLUS two back-up stories showcasing the dazzling art of DAVID LAFUENTE (Hellcat) and CHARITY LARRISON (Busted Wonder).